Bronze was the most frequent metal used in the production of Buddhist statues. 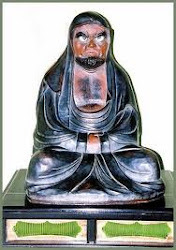 Where silver was used instead of bronze, the figure is called ginbutsu. 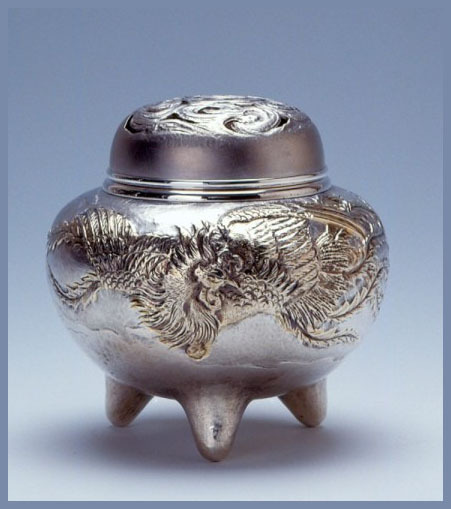 According to available documents, silver statues were produced in Japan in the Nara and Heian periods, but surviving examples are very rare. Because of the high price of silver, relatively few pieces were produced, and the statues themselves tend to be small in size. 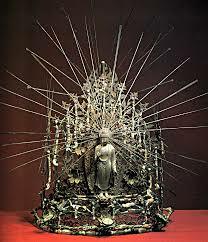 Famous extant examples include a figure (height 23.6cm ) attached to the coronet of Fukuukenjaku Kannon 不空羂索観音 in Todaiji Hokkedo 東大寺法華堂, Nara, and thought to date from the 8c. An Amida Nyoraizo 阿弥陀如来像 (7.6cm high) in Jogon-in 浄厳院, Shiga preference, is believed to have been made in the Kamakura period. In 1937 the right hand of a Buddha cast in silver, approximately life-size, was discovered under a pedestal in Kofukuji 興福寺, Nara, where, according to records, there once were two silver Buddhas.
. shippoo 七宝 （しっぽう）/ 七宝焼 cloisonne, Cloisonné .
. Iwami Ginzan 石見銀山 Old Silver Mines at Iwami . This craft began during the 18th century with the emergence of three kinds of skilled workers of precious metals. First there was 銀師（しろがねし） the shirogane-shi, who fashioned articles that were then skillfully chased by masters of this technique; and then there were skilled metal workers who made such things as combs, hairpins (kanzashi) and the decorative metal fittings for the portable shrines or mikoshi. The gold and silver mints in Edo contributed significantly to raising the level of skills of such artisans. Moreover, Edo was the center of politics, finance and culture, and were feudal lords were required to live for long periods. Consequently, silversmithery in particular developed with their patronage. Nowadays, many fine articles are being produced, mostly to traditional patterns. 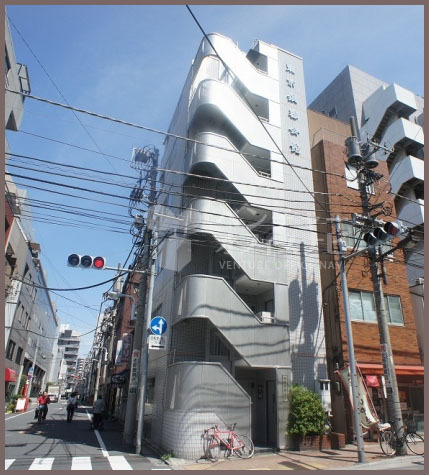 A confluence of so many skills, Tokyo Ginki is of the highest quality, the epitome of beauty and durable besides. Also, because it is not made of a harmful substance, it can be used for so many kinds of containers, ornaments and other everyday household articles. Both wrought and chased articles are made. 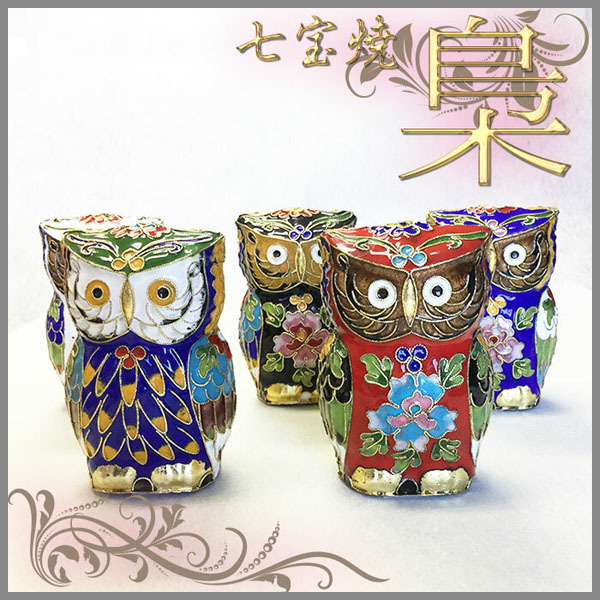 There are silver tea caddies, sake flasks, flower vases, ornaments and many other small household articles being made. 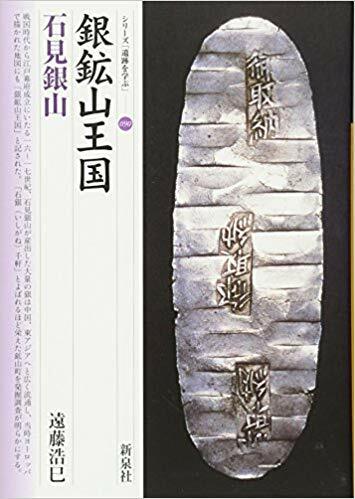 Kazuo Kamikawa succeeded to the name "Sosho" from his father, and received many awards, including "Higashi-Kuninomiya Bunka Hosho," or Higashi-Kuninomiya prize, and "Takuetsu Gino-sho," or superior workmanship prize. 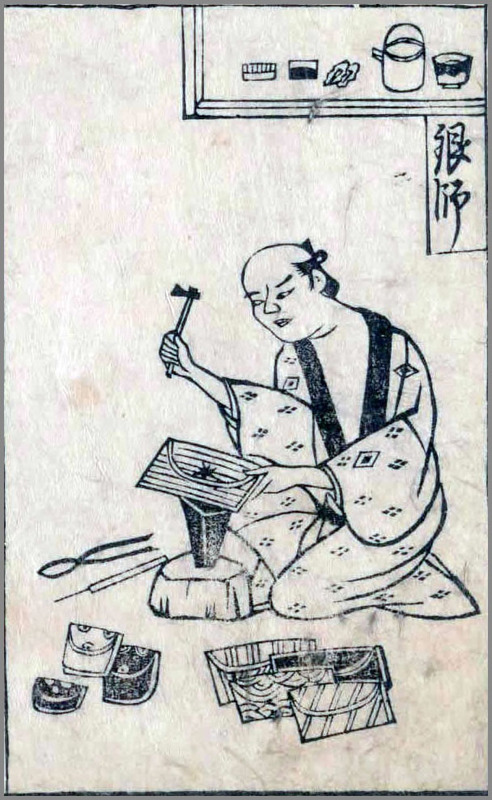 He is affiliated with the Hirata school, of which founder is Zennojo Hirata, a smith who distinguished himself as a master craftsman in the late Edo Period. ..... What is Tokyo-style silverware? 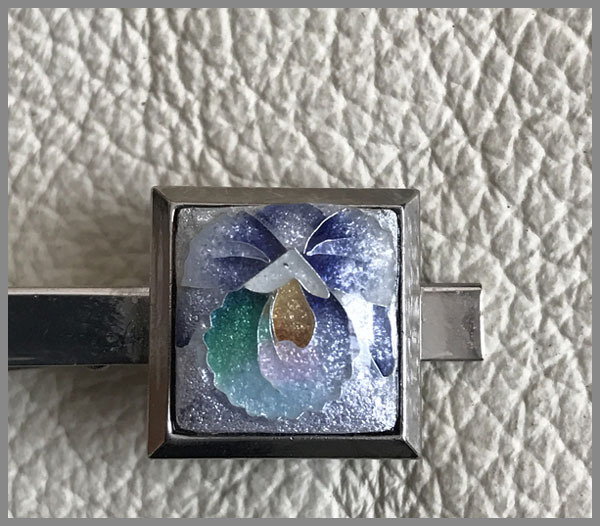 In medieval Europe, in order not to be poisoned, people used silver tableware, taking advantage of the property of silver, of which color changes when being sulfurated. In this way, silverware has closely been related to lives of people from old times. In Japan, since silver coins were struck at a silver mint, which was located in present Ginza, in the Edo Period and silver accessories were popular among people in the Genroku era, a period when the economy developed and prospered, Tokyo has thrived as the center of silverware production.
. Ginza　銀座 Ginza district, "Silver Guild", Chuo Tokyo . district for the making of silver coins. In 1661, a solitary kujira 鯨 whale had been landed all alive and this was seen as an auspicious omen for the gold and silver mines of Sado. A 坑夫 miner had been so fond of the booming economy of the mines that he only ate hot cooked rice. The cold rice he threw down the valley. Then 横江の宮の神木 he cut a sacred tree from a shrine in Yokoe town and used it as a support for the mine. As he carried the sacred tree to the mine, there came two pockfaced men behind him. 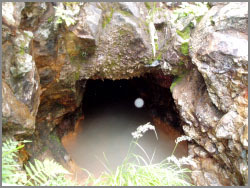 As he tried to go inside the mine, there was a loud rumbling of heaven and earth and the silver mine collapses.
. . . CLICK here for Photos - 銀器 !
. shinryoo 新涼 Shinryo, first coolness (in autumn) .